The model is designed specifically for fans of bright and original design. 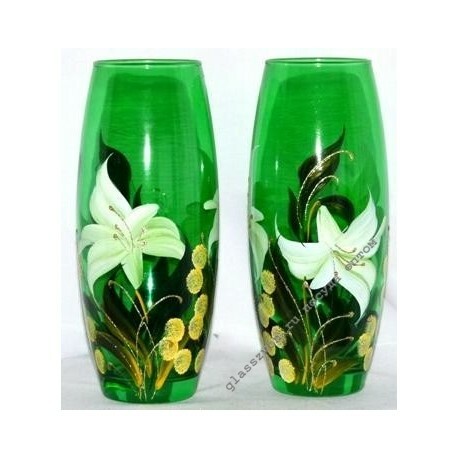 Active and cheerful customers will certainly like painting - white lilies and grass on green glass vases. 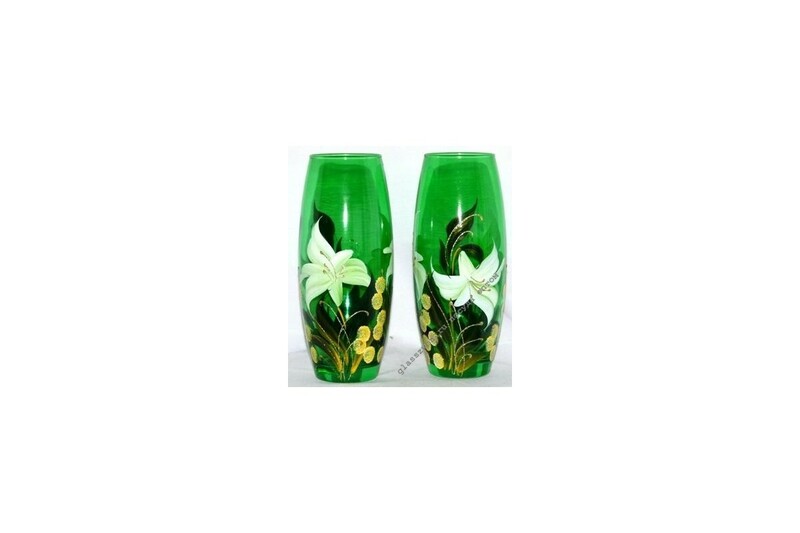 Buy in bulk in Moscow products PDA "Crystal Chime" LLC offers you our online store. Factory quality, a huge range and producer prices - what could be more attractive? Any volumes, prompt delivery to all areas of Moscow from the warehouse, favorable terms and other advantages to regular partners and buyers.